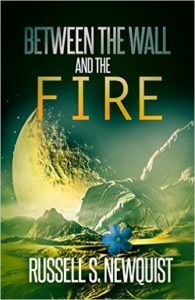 Russell Newquist's anthology Between the Wall and the Fire features stories from Ray Blank, Verne Luvall, S.D McPhail, Morgon Newquist, and Joshua M. Young. It also includes my story, "Soul Food", about a young man who goes to great lengths to fulfill his grandmother's dying wish. "Cookie Crumbs" is part of Silver Empire's anthology Make Death Proud to Take Us, a collection of science fiction and fantasy short stories about manly courage. Jon's sister is lost in the woods. Again. 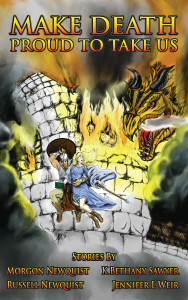 Will he find her in time to save her from the witch who lives there? 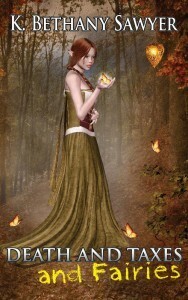 "Death and Taxes and Fairies": The only constants in the universe are death and taxes. Even fairies aren't immune from taxes, and even tax collectors aren't immune from death! Originally written for a class taken at the Fairy Tale Factory, I'm pleased to announce that Silver Empire has chosen to release this just in time for tax season. A father wrestles with his daughter's fate as she lies in a coma. He can save her body - but can he save her soul? 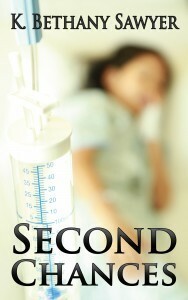 "Second Chances" won the Society of Actuaries Speculative Fiction award in 2011. Now you can read it on your Kindle or your Nook! Many thanks to Silver Empire for publishing this thought-provoking story.